Trying to stay ahead of other Internet Service Providers (ISP), ACT Fibernet, today announced its partnership with OTT platform, ZEE5. 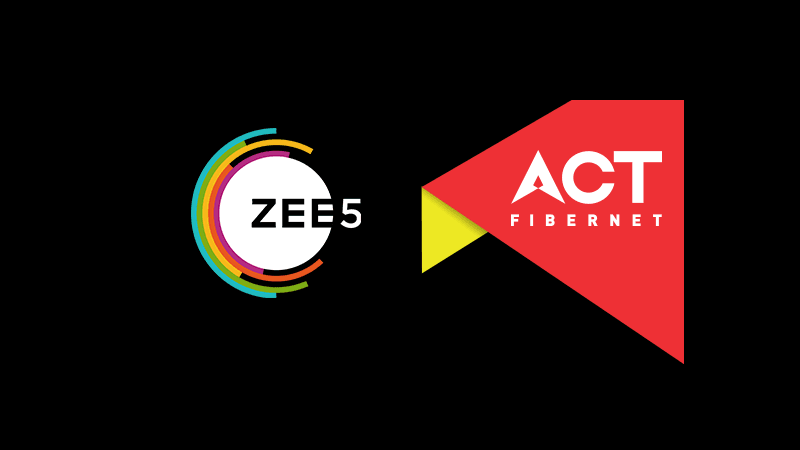 As part of this partnership, ACT Fibernet subscribers will get one month of ZEE5 subscription worth Rs 99 for free. After one month, users will be charged Rs 99 for ZEE5 subscription through their ACT Fibernet bill itself. This is not the first time ACT Fibernet is partnering with OTT platforms as the company had earlier established partnerships with HOOQ, Hungama, ALT Balaji, among others. This offer will be available at an additional cost of Rs 99 across all the 17 cities where ACT Fibernet has its presence, said the company in a press statement. 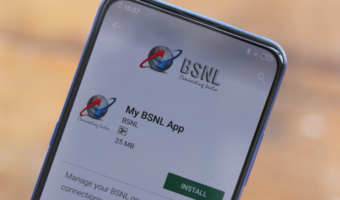 As part of the partnership, ZEE5 will be listed on the ACT Fibernet portal where existing customers can access premium content on the basis of their subscription status. Additionally, first-time users can avail exclusive one-month free subscription through ACT Fibernet. It seems like the one-month free subscription of ZEE5 is limited only to new ZEE5 users only. Talking about ZEE5, it’s India’s fastest growing OTT platform with over 3,500 films, more than 500 TV shows, 4000 music videos and 90+ Live TV channels across 12 languages. How to Get One Month of Free ZEE5 Membership Via ACT Fibernet? If you’re an ACT Fibernet subscriber and looking to avail free ZEE5 membership for one month, well, you’re in the right place. The first step you need to perform is to create a ZEE5 with the ACT Fibernet register mobile number. Do make a note that you should be an ACT Fibernet subscriber to get the membership; If you’re one of them, head over to this website and enter your account details. Now, download the ZEE5 app from Google Play Store or App Store and log in with the account you’ve created earlier to enjoy the membership free for 30 days. ZEE5 is currently streaming some of the popular movies which got released in recent times such as Simba, URI and popular international content is available as well. Aforesaid, ZEE5 subscription worth Rs 99 (depends on the subscription plan you choose) will be billed to your ACT Fibernet’s bill after one month. Already ACT Fibre is charging exorbitantly and GST together. I pay Rs.2891/- for 6 months with GST. Previust it was only Rd.2400/- at Rs.400/_-per month.